Marc Miller is nearly ready for his first appearance at the 24 Hours of Le Mans. The American racer has been hard at work preparing to co-drive the No. 53 Dodge Viper GT3-R at this weekend’s 83rd running of the legendary endurance race. 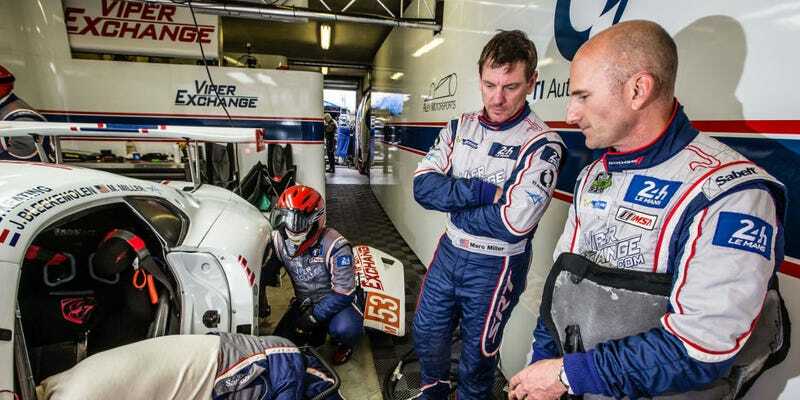 Along the way, Miller has learned some important, and unusual, tricks to success at Le Mans. For more of Miller’s firsthand lessons about what to expect from the drivers, the fans, and the incredibly serious inspectors who must approve each car before it can set a tire on the track, check out his full report over at Road & Track.